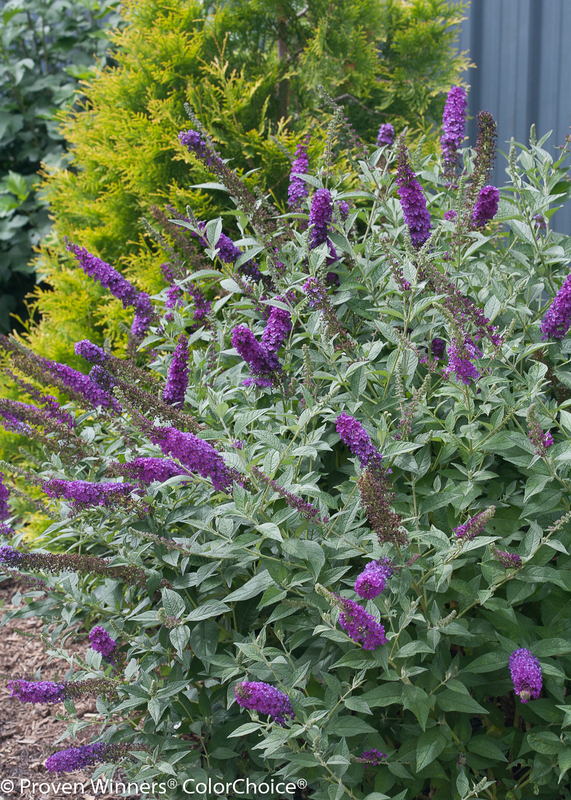 Compact plant with vibrant dark purple-violet summer flowers. Pleasant green foliage. 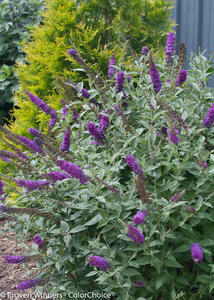 Blooms on new wood and grows best in well-drained soil.